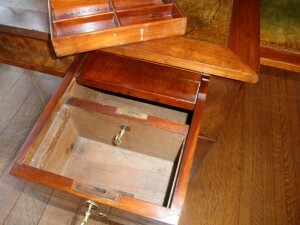 This antique French desk has a secret lockable compartment in one drawer. 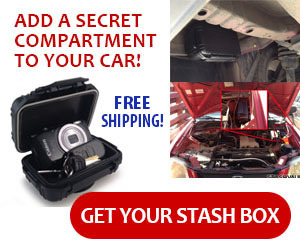 Once you lift out the half depth tray, a second lock is revealed. Unlocking this lock allows a top board to slide backward, opening the secret compartment.